Mat | Nippon Electric Glass Co., Ltd. Chopped Strand Mat is non-woven fabric, made by chopping E-glass fiber and dispersing them into uniform thickness with sizing agent. It has moderate hardness and strength uniformity. 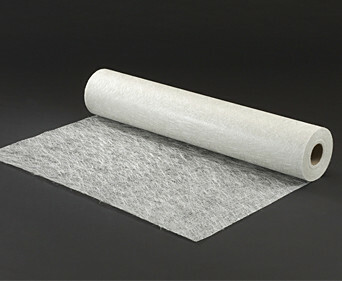 The low density type is popularly utilized in automobile ceiling material to contribute to weight saving.